A vertical structural support member in wall formwork. A horizontal structural support member in formwork. Also called Wales or Waling. The same term carries over into timbering for trenches. 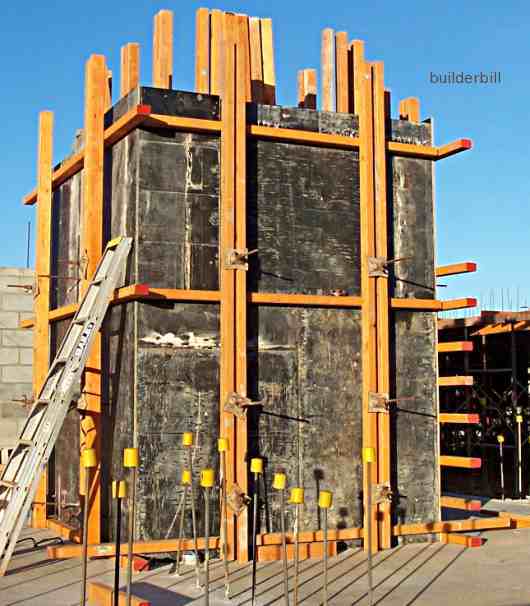 In the photo above of a lift well being formed up, the soldiers are the twin vertical 150x100 (6"x4") timbers. In this instance the soldiers are made up out of general formwork timber that is used for many applications on the job. 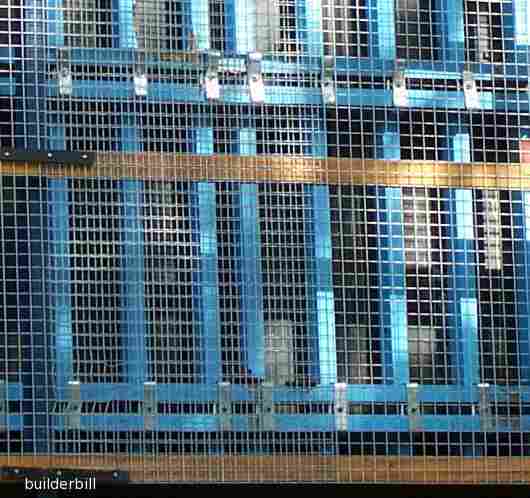 On other sites the contractors may choose to use a purpose made steel wall soldier. These range from fairly lightweight twin "C" section beams to lattice beam type frames that have built in jacks for adjusting them for plumb. The horizontal members 100x75 (4"x3") are called walers. In this case they are the closer spaced ones that still have to be completed. Here is the construction of a slightly more complicated lift well and services core of a high rise building. 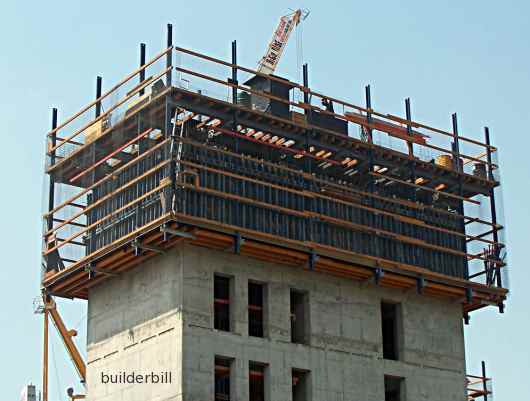 The unit comprises the formwork and the scaffolding together that is hoisted up at the completion of each concrete pour. Looking through the safety mesh and scaffold we can see that the positions have been reversed on this set of wall formwork. The soldiers are the closely spaced ones and the walers are the stronger double supports. They are made out or RHS steel sections. Probably welded and they no doubt will have repaid their high construction cost by the time the 30th floor has been completed.